You are here: Home / How-To / 9 Simple Ways to Be Happier Everyday–The Simplicity Curve! 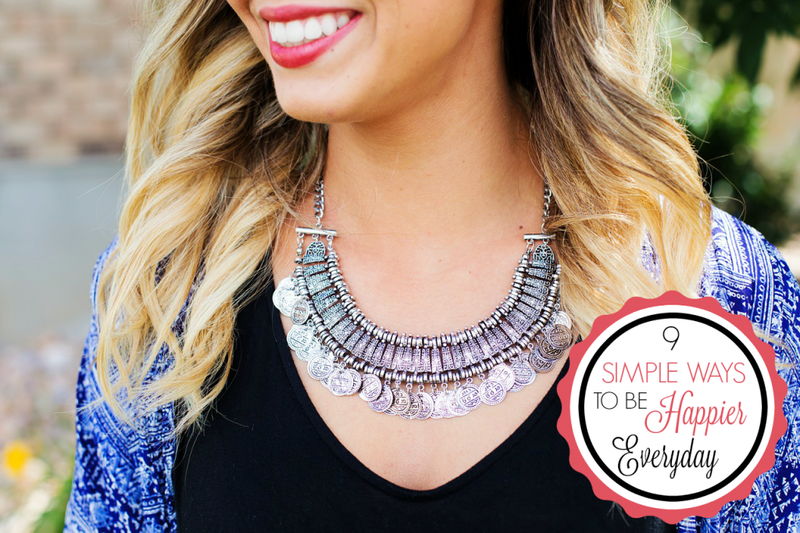 9 Simple Ways to Be Happier Everyday–The Simplicity Curve! Do you ever find yourself reminiscing about the good old days? Back when you had no worries in the world and when life was simple? Life is great now but, the older you’ve become the more responsibilities you’ve acquired. Turns out, there is happiness in simplicity. Happiness levels vary among Canadian mothers. According to the research that Schick gathered, 29% of moms are happy, 38% are neutral and 33% are unhappy – but moms agree that simplifying improves happiness, with 92% saying that simplifying aspects of their life would make them happier. I know that sometimes this can be said easier than done but, you have to learn to enjoy your own company. Do things that you enjoy and most importantly, accept every single thing about yourself. The good parts and even the not so good. Personally, I’ve learned to love my flaws and now that I do, no one can use them against me. With that, I’m all the more happy for it too. 2. Laugh and Laugh Often. Sometimes we all need a deep and hearty belly laugh. The type that leave your ribs aching but, laughter is good everyday and to any degree. When you smile and laugh, your brain releases serotonin and that alone will make you happier! In fact, laugh at your shortcomings–we all make mistakes! Every mistake is a learning opportunity! 3. Keep a Journal or Use a Planner. I know it seems a little old school but, there is really nothing more therapeutic than sitting down in one of your favorite places and just writing. Writing all of your feelings, thoughts, wishes or goals. Picking up a super cute planner or printing a free one-off from the interwebs can be a great way to get organized. When you’re organized, you’re much happier! Believe you, me! We are all guilty of spreading ourselves too thin. Taking on too much work, volunteering for too many things and we all have a hard time saying no. I am definitely guilty of this and I found that the more I did this, the less happy I was. I’ve taught myself to learn how to set boundaries and say no politely. I plan and execute what I can and pass on what I cannot commit to fully. One of the best feelings is the feeling of weight lifting off of your shoulders. We are often drowning in things that we don’t need or have grown out of. Set aside a little bit of time to de-clutter your home and pack away things to donate. You’ll be surprised how quickly your spirits will be lifted! 6. Indulge Once in Awhile. Get dressed up and go to out to your favorite restaurant and order what you want. Or stay in your PJ’s and order some take-out and enjoy it–guilt-free. Have a square of dark chocolate everyday and just savor it! Indulging is okay once in a while, it is all about balance. Plus, anti-oxidants are a bonus! Wake up a little earlier, go to bed sooner. You’ll find that you are more productive and put a dent in your to-do lists and have a lot more energy. They do say that people who sleep more are much happier and healthier. I know that us parents have a more difficult time doing this but, it isn’t impossible! 8. Take in Some Vitamin D.
I work behind a desk everyday and I know that I definitely don’t get enough sun. Getting in 20 minutes of sunshine a day can definitely life your mood and fends off the seasonal blues! Plus, letting in the light just generally makes you happier. I guarantee it! 9. Simplify your Everyday Routine with Products That Save Time. I don’t know about you but, when it comes to my beauty routine–I don’t skimp. I like to look good for myself because it makes me feel good. With that said, I don’t like to spend hours doing so. I like products that save me time but, are super effective. I am a die-hard fan of Schick Intuition razor. Why? It’s simply fabulous, dahling and I will tell you why. Each razor lathers, shaves and moisturizes during shaving – all in one easy step, with no need for prep or shave gel. Using a 3-in-1 razor makes life simpler and that ultimately helps you feel happier. Using a Schick Intuition is life-changing. I have tried many a razor but, I always come back to it. In fact, it’s always in my shower. I never get nicks or cuts and it makes hair removal easy. My legs are moisturized because of the moisture ribbons and I’m never dry! So, find products that save you time, like Schick Intuition razors. Perfect for the woman on the go! 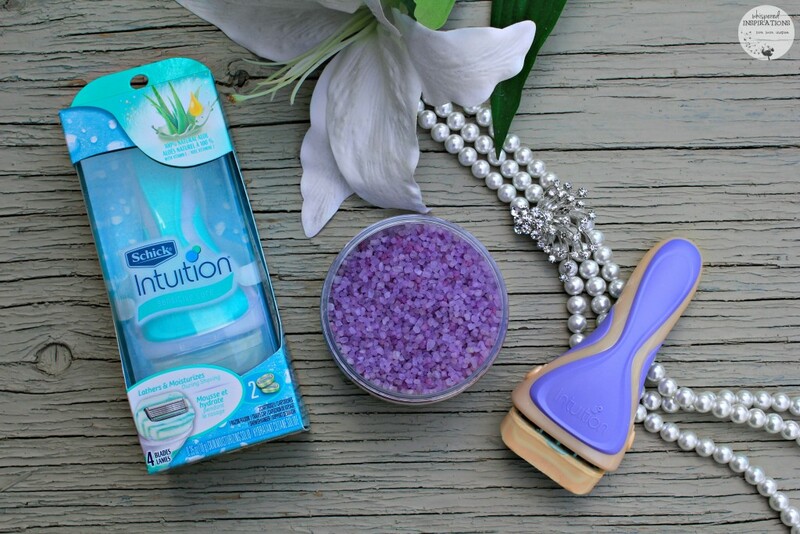 The thing that I love the most about Schick Intuition Razors is the scents. They smell amazing and can take you away simply by the aroma. My favorite? The Coconut Milk and Almond Oil is absolutely divine! The Schick Intuition Sensitive Care razor also features Moisture Ribbons, which run through the Conditioning Solid™, to moisturize during shaving and contain 100% natural Aloe with Vitamin E. Designed to be gentle on skin, the razor is fragrance free and hypoallergenic. 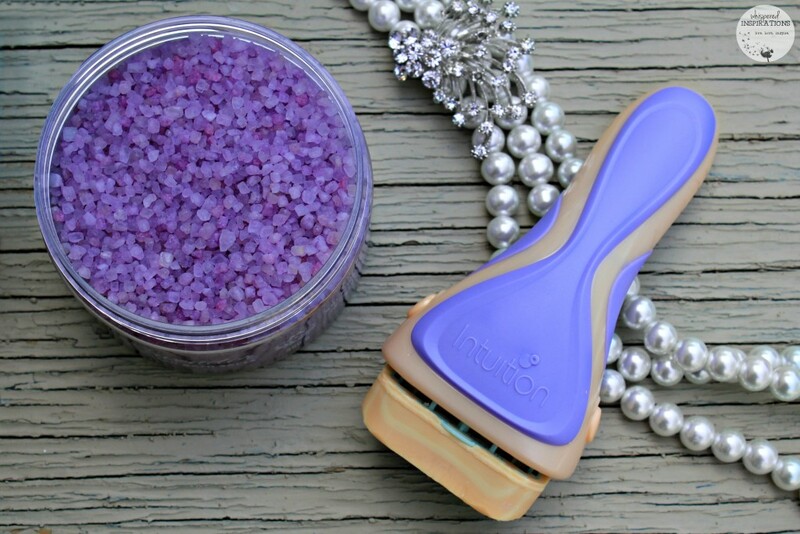 The Schick Intuition Advanced Moisture razor with Moisture Ribbons lathers and softens skin. It boasts an ergonomically designed handle, a pivoting head and four blades surrounded by a Skin Conditioning Solid™ containing Shea Butter to moisturize during shaving and help achieve noticeably softer skin. Infused with coconut milk and almond oil, the Schick Intuition Pure Nourishment Conditioning Solid™ with Moisture Ribbons, moisturizes during shaving, leaves dry skin feeling noticeably soft, and its four blades and pivoting head follow your contours for a close shave. They Say That Simple is Better. In fact, there’s proof now! According to recent research by Schick Intuition, the happiest moms in Canada take active steps to simplify their lives. And, it seems to be paying off – the responses from 750 moms across Canada were used to create the Schick Intuition Simplicity Curve which shows a direct correlation between happiness and simplicity. Check out the video, it illustrates it perfectly! The curve clearly illustrates that happiness spikes when mothers take deliberate steps to make life more manageable, and embrace a philosophy of “voluntary simplicity.” Moms who described themselves as happy, 65% said they live a “voluntary simplicity” lifestyle. Basically, they are living simply and reducing everyday stress. With the tips above, you are well on your way to living a similar lifestyle and being happier. Other ways to simplify your life is are managing email, using a calendar system and ordering in dinners occasionally. We deserve a break once in a while, right? One thing to remember, is that happiness is contagious. Spread happiness and surround yourself with likeminded individuals and always, always have a Schick Intuition at hand. Same here, I have been doing it more often in my adult life and in my travels. My husband swears by vitamin D. I always say I get enough being outside, but the truth is I have no clue if that's true or not. I think it makes you feel better! These are great ideas! I know I need to get more sleep. I've also realized the clutter around the house was annoying me and I didn't even realize it. Definitely need to do some of these tips more often. i love schick. i have used them for many years now. love your post. thanks for sharing. The past is past. I prefer to live in the now! This is the only razor I use, I adore it! It's seriously one of my faves and wish I had it through my whole shaving journey up until here! Such a great post, and so many ways to be happier! So true, loving yourself makes a huge difference! I've also found that serving others makes a huge difference in my life. Very great point, it indeed makes us happier if we help others. I love your post! I think it's important to make sure to be happy each day. De cluttering your life is a great one! I need to do that soon. I know I have some clothes that I don't wear that I could be getting rid of too. Always good to declutter, that is for sure! I completely agree with living a simple life. When things are less cluttered I'm happier. I will have to pick up one of these razors to try. I have been eating healthier this year and making sure i drink a lot of water. That is great, I am glad you are taking care of you! Your first tip, "Love yourself" is the most important of all. Like charity, care for the world should start at home. Thank-you and thanks for your wise words! This is a great post, but I can't get past that beautiful necklace. I'd love to know where did you get it? I love your tips on living a happier life – I am using a journal now and I do try to get atleast 7 – 8 hours a sleep every night! Thanks, they are simple but we often forget! With my sensitive skin, the one that is fragrant-free is ideal. Love all of the points that you mentioned above: I try my best to laugh and smile everyday, despite any of the bumpy roads I may have come across!